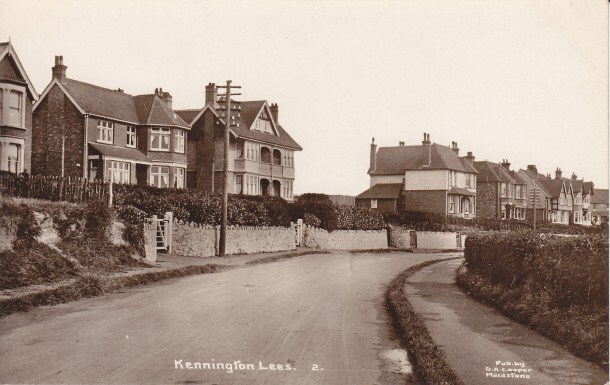 We begin our tour slightly out of the boundary of Kennington, at the junction of Gore Hill with Magazine Road. 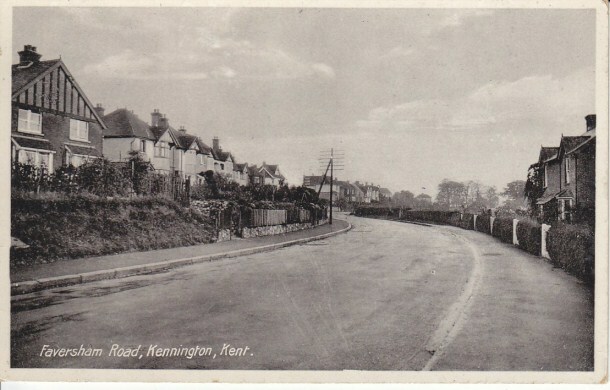 Quite a rural scene, a walk from town to Kennington must have been a very peaceful and enjoyable experience then. 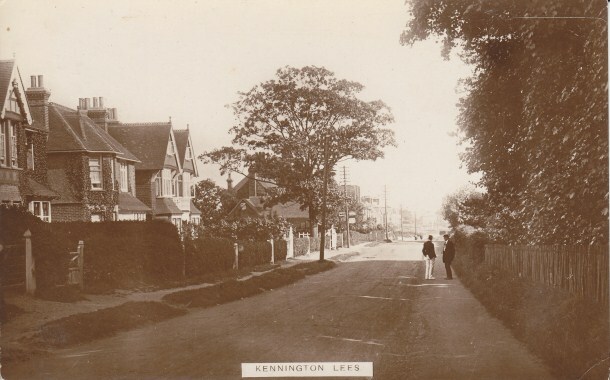 This image from around 1916 shows us further how peaceful our walk would be towards Kennington. To the right we see some large houses, which were occupied by the wealthier inhabitants of the time. Some of their names have survived to this day in the names of our roads. Further down the hill we meet the fields just before the border with Kennington. 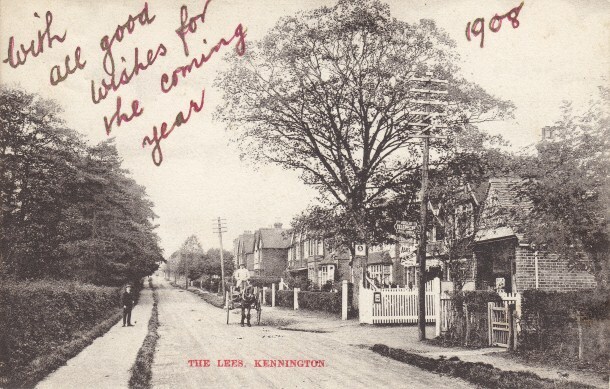 I believe Kennington officially starts on the small bridge beside the Bybrook Tavern. 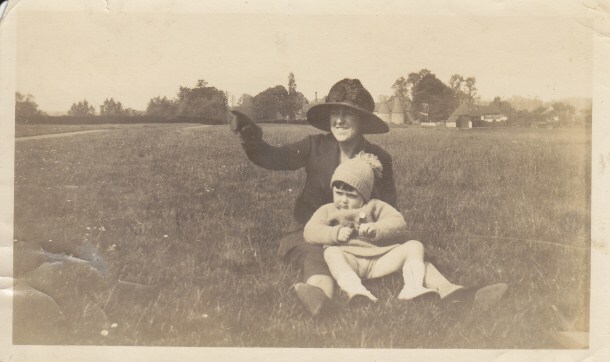 To the right of my Great Aunt's hat you can see the Bybrook tavern, now the Holiday Inn. To the left of her hat is the barn which was the original Bybrook Barn garden centre and is now a Harvester restaurant. So they would be sitting peacufully in what I would think is the northbound lane of the M20 now. 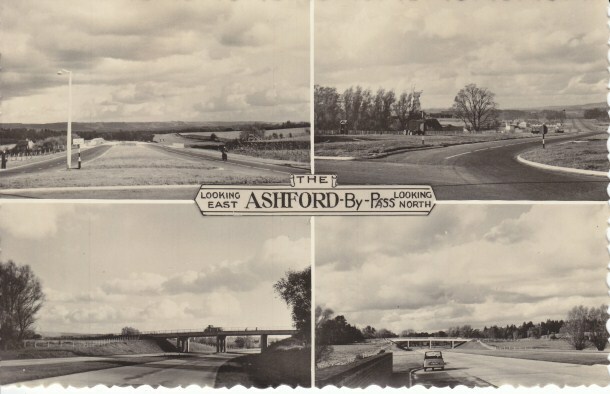 Another view of the area showing the bridge that came later to span the Ashford Bypass. The lower two pictures show the bridge looking south(left) then north (right). The land must have been heavily landscaped to take the bridge. This particular area was known as Bybrook, a name that has slipped out of use somewhat over the years. 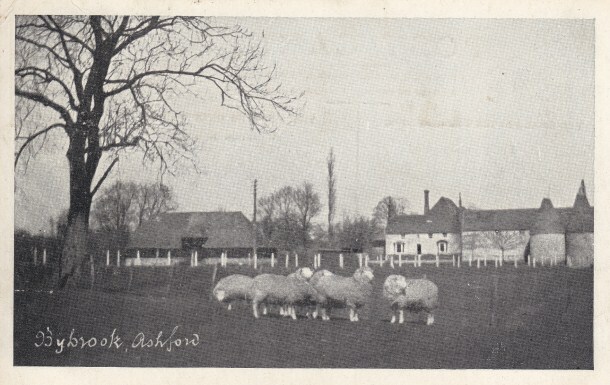 This image shows some sheep in a field which is now the Holiday Inn car park. In the background we see the barn that is now the Harvester restaurant to the left and buildings which are now houses to the right. 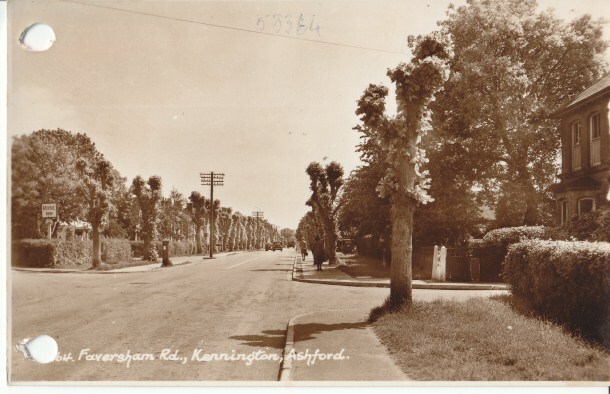 Moving up to Faversham Road, we find Nettlefield Road off to the right. 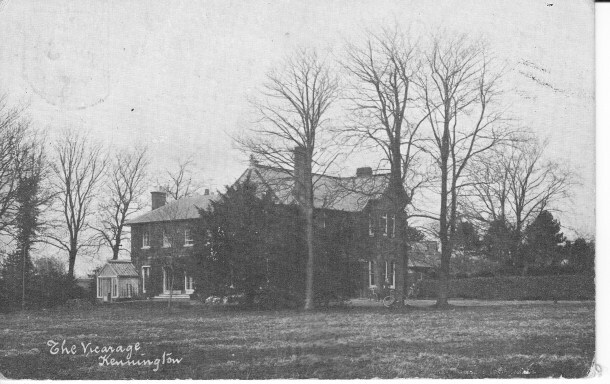 The old Great Burton Farm House can still be seen in the centre of this image. 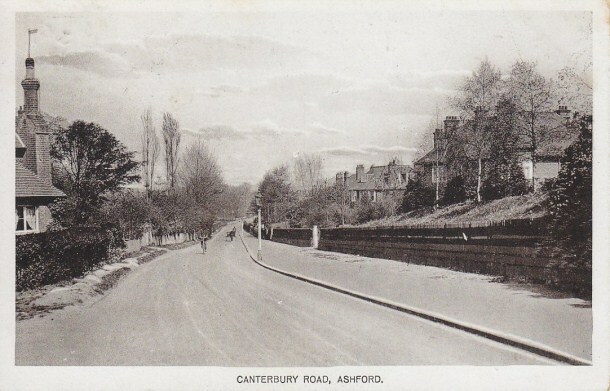 Looking back down Faversham Road. 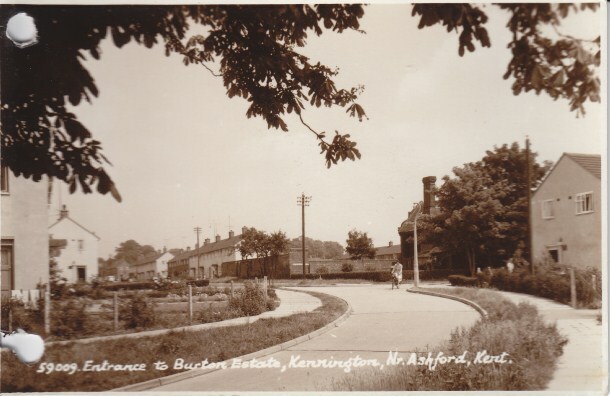 A scene looking back towards what would later become Kennedy's garage business. Church Road meets from the right. 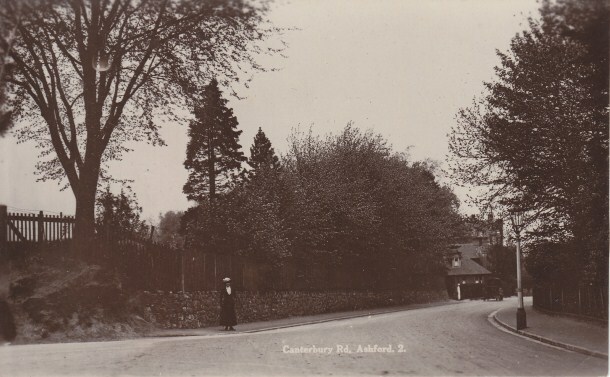 The building on the left ahead still stands as a Chinese Takeaway and the Coop Funeral Directors occupies the building to it's left. 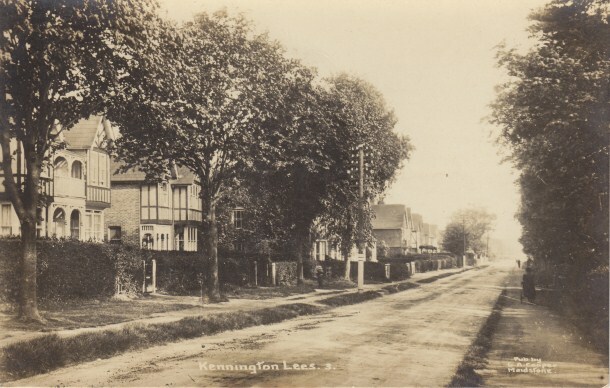 To the right can be seen the old Kennington Post Office. A peaceful looking road. 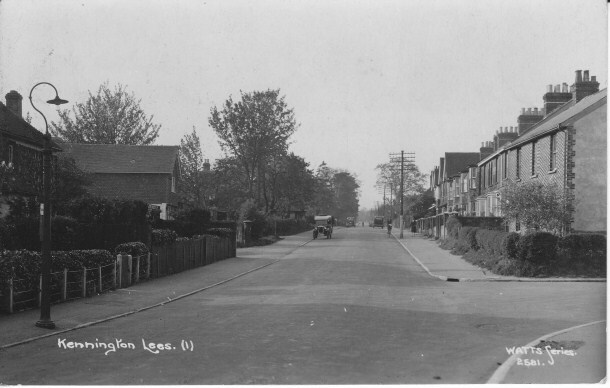 As we continue our journey along Faversham Road, we look back towards Church Road in this image from circa 1920. Two gents pass the time of day in the afternoon haze. 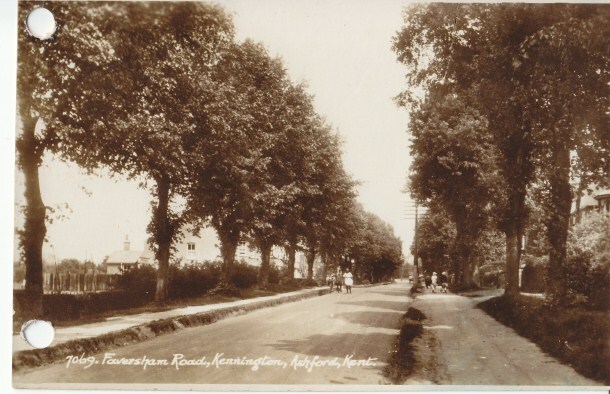 A scene from circa 1908 looking up Faversham Road and showing the building that became Knott's Off Licence. The business here certainly sells beers according to the sign... 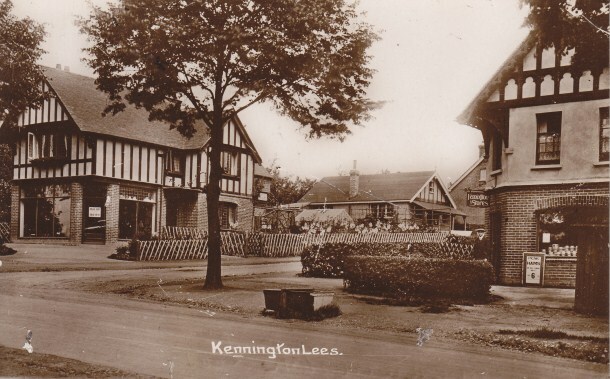 Continuing up the road, looking back towards where The Pasture would be built... Now we meet Upper Vicarage Road and on the corner, Kennington Stores... Peering to the right we see Upper Vicarage Road and this image from circa 1925. ...and peering to the left we see Lower Vicarage Road. 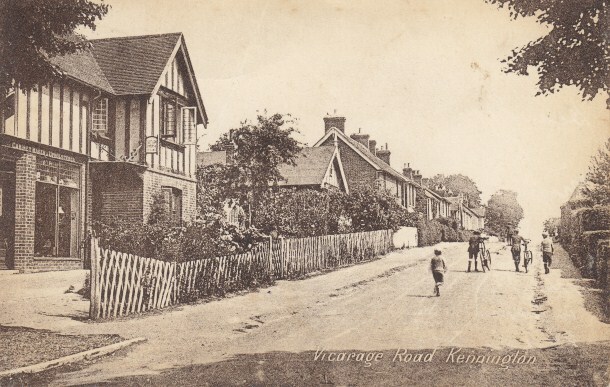 On the corner with Lower Vicarage Road, the Vicarage, Kennington. 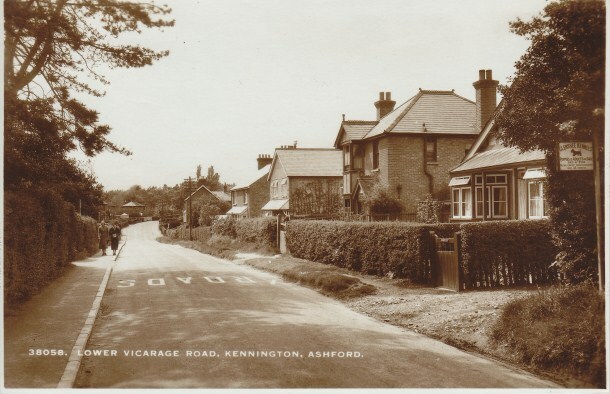 This view looks from the junction with Upper and Lower Vicarage Road, towards The Rose pub. 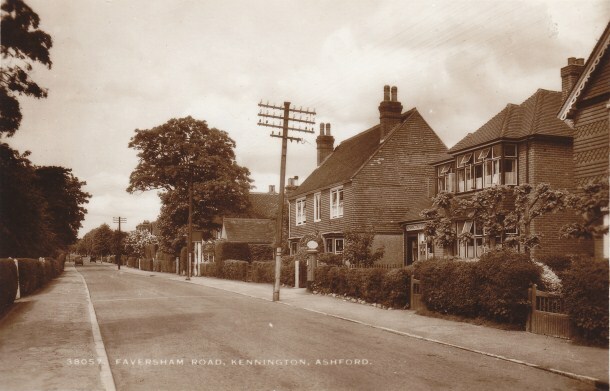 The junction of Faversham Road and Grosvenor Road with The Rose public house to the left. Click the arrows to move backwards or forwards. Images will automatically move on every 20 seconds. Click the image to view it in detail.